This mini-guide summarises the changes introduced to the Furnished Holiday Letting regime by the 2011 Finance Act. The Furnished Holiday Letting (FHL) regime is now extended by statute to include property located in the European Ecconomic Area (EEA). The EEA includes Iceland, Liechtenstein and Norway. The profits and losses of all FHL properties in the UK are taxed as a business. The profits and losses of FHL properties located in the EEA are taxed as a separate business to those in the UK. The profits or losses of a UK or EEA FHL business may not be offset: each business is reported separately under self-assessment. Losses may be carried forward even if the FHL tests are not met in three years. "Sideways" loss relief ends: a loss made in a qualifying UK or EEA FHL business may only be set against income from the same UK or EEA FHL business. Terminal loss relief on cessation of a FHL business ends. Under Averaging a FHL business of two or more properties may average the number of days that all properties are actually let in order to pass the FHL tests. Under new "Period of Grace" provisions, where a property fails to meet the actual occupancy test, then provided that a property qualified as a FHL in one year, it may be deemed to qualify as a FHL for up to two following years. The owner must demonstrate that it was marketed and made available for letting. The Averaging and Period of Grace tests may be combined. The minimum period over which a qualifying property must be available for letting to the public in the relevant period is increased from 140 days to 210 days in a year with effect from April 2012. The minimum period over which a qualifying property is actually let to the public in the relevant period is increased from 70 days to 105 days in a year with effect from April 2012. 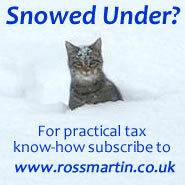 More...for examples of the new reliefs, losses, capital allowances, CGT and IHT issues see Furnished Holiday Letting.